This book is designed to provide a month-long series of visits with the God of the Bible. Every day many forces combine that might make us feel overwhelmed. Besides the daily obstacles and discouragements of life, we all face spiritual challenges which could make us wonder if God is still there. 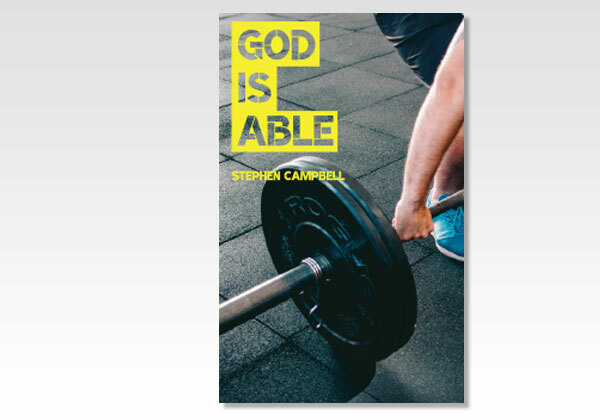 But the Bible tells us that He is mighty and able! His strength and His care do not fail, and He is fully capable of helping and supporting us day by day. Stephen Campbell and his wife Susie live in New Jersey, along with their three sons. Steve has a career in school teaching. He serves on several Christian ministry boards connected with missionary work and Christian camping. He works among young people, serving as a camp director and counselor, while preaching the Word of God. He has written many articles and meditations for Grace & Truth Magazine and The Lord Is Near calendars. Steve also enjoys preaching the Word of God in his local gathering of believers and elsewhere.